It’s that time of year again and the subscriptions are due. 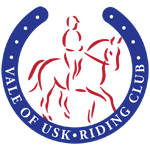 2019 looks like being another incredible year for VOU RC with qualifiers, training, competitions, talks and even a weekend away planned… check out the how to join page and send it asap to Natalie at natalieparsons51@yahoo.co.uk You can pay by bank transfer to make it easier. Afternoon/Evening jump training with Kat Raybould at her new yard, in Usk, on Wednesday 30th January. Sessions are either individual £25 per horse or shared (with someone jumping same height and ability) are £15 per horse. It’s a great opportunity to run through your test ahead of BRC qualifiers.